This eighth installment covers the fourth day back in Hong Kong. It includes ramblings about the Goldfish Street, Peak Tram, and Central District (including The Landmark) during rush hour. This seventh installment covers the afternoon part of a day trip to Macau. Read on for ramblings about the old Macau (small village life and also the tourist mecca central area), MGM, historic pawn shops, and the sailing back to Hong Kong. This sixth installment covers the first half of a day trip to Macau. Read on for ramblings about the ferry ride over, The Venetian, and lunch at Fernandos. This fifth installment covers the second half of Day 2 ("night-time"). We revisit some of the harbourfront locations, whose character has now been transformed with the onset of night. This fourth installment covers only half of day 2, which will be split into "day" and "night" parts. Here we will be covering the daytime sights of Tsim Sha Tsui - namely Harbour City, Victoria Harbour, Arts Centre - and in other neighbouring districts. This third installment covers the first full day of adventures in Hong Kong, including comments about the MTR, dinner at Din Tai Fung, and photos of Sheung Wan, Grand Millennium Plaza, and Tung Lo Wan. I'm graduating today (12/12/12) with my Bachelor of Science with Honours with First Class Honours in Computer Science. Yipee! This second installment covers the taxi-ride out from the airport and head-throbbing jetlag. This first installment covers flying out to Hong Kong from Christchurch. It includes ramblings about flight itineraries/options, Christchurch / Sydney / Hong Kong airports, my first flight on an A380, and other peculiarities of being in transit. Wow. I'm back home now after an amazing week of holidays in Hong Kong. This is effectively my second visit (though technically actually my 4th, not including the trips when I was just 3 and 6 years old respectively, and barely remember anything from those visits). Having said that, it was a truly eye opening week, filled with an abundance of tasty food, many pretty and interesting sights, and learning to get around within the hustle and bustle of a modern metropolis. There were contrasts everywhere (rich/poor, shiny/scruffy, fast/slow) and often even side by side. But underlying all of the vibrancy was the sheer convenience that comes with abundant availability everywhere you turn. Details about these and more will be featured in an upcoming series of posts to appear here as I get them written up (and photos checked and uploaded). This was originally posted in response to a bug report, but I thought it would be interesting to many other people, if only to document why things are so. 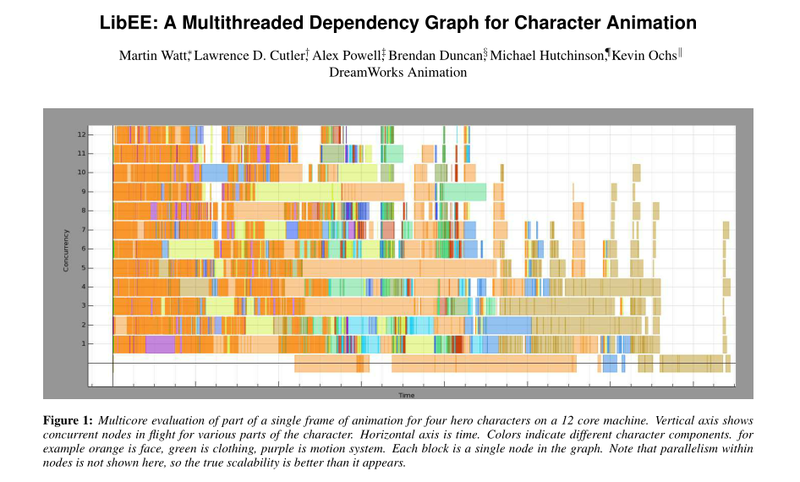 I have found some inconsistency relating to keyed data showing up in the dopesheet/action editor/graph editor. For an object all data keyed by set will go into a group (say location). 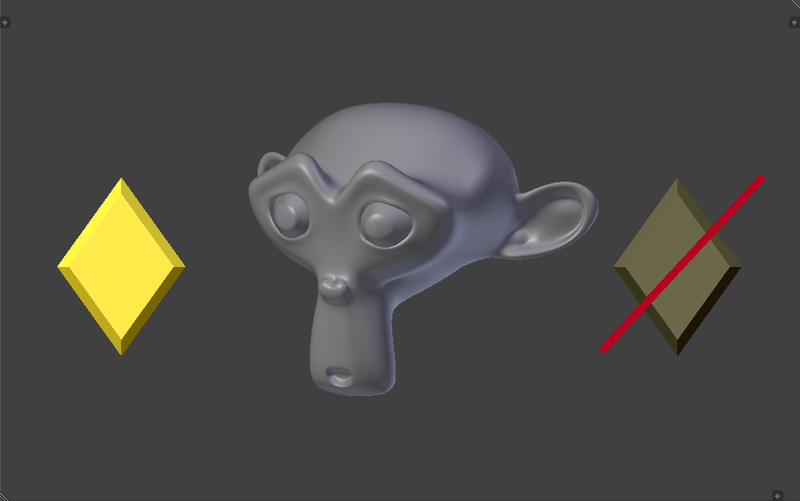 keying another set of data creates a new group (rotation) If you go to the object properties and insert keyframes for scale they show up as individual lines not grouped together at all. For a bone, keying location creates a group for the bone containing the location data. Adding another key for rotation brings that new data into the existing bone group. But if I go into the bone properties and key the scale properties they show up in the dopesheet as individual lines. So it would appear that keying by a predefined set in the 3dview groups the data, keying a set for a bone groups the data by a bone group, but keying in the properties panel is not considered a keying set so enters unrelated keyed data. FAQ - When should I insert keyframes? Subtitle: And what can Blender do to help me with this? Last night we were treated to a double rainbow! Default colours - Note how badly the dark blue tends to fade into the background. Over the weekend, I spent time out getting some exercise and time away from screens. Heck, I even spent time in a supermarket for the first time in months XD. Here are some pics from around the city of things that have been popping up around the place. A mural and makeshift garden that's popped up along Riccarton road after a cluster of shops were abruptly demolished a few months ago. Finally all of my coursework and my honours project thesis are all completed! Woah! 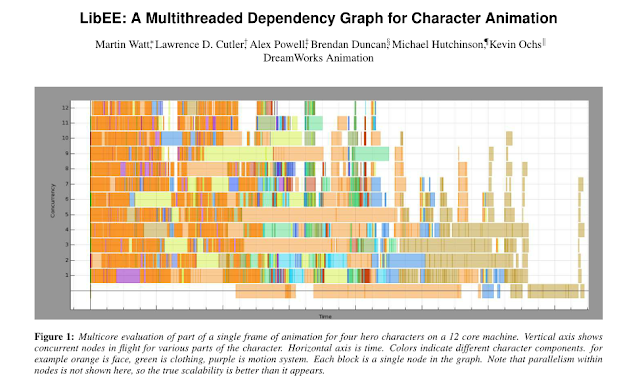 I've just finished reading through the paper Dreamworks published at Siggraph this year about their new fancy multi-threaded dependency graph. Some seriously cool stuff here with some interesting insights which we should take into account when working on our own revamp. Having said that, even without worrying about multi-threading (it's still an area I'm not that familiar/comfortable dealing with yet... and it'd certainly be worth having some multithread gurus around if/when we go down this path) we still have a lot of design issues to tackle to even get a basic system that tackles most of the issues that we're currently facing with our old antiquated beast. A while back, I wrote a post in response to one of Paul Graham's essays regarding how it's important/necessary for programmers (or in fact, anyone doing some form of creative activity) to hold a mental picture of all of the relevant parts of a project at hand (i.e. all of it in many cases) to do a good job very productively. As I've been slowly plowing through the writings of many other productive people, similar trends emerge time and time again: being able to hold a mental picture of an entire project when working on it appears to be a contributing factor to how we can achieve "flow" (i.e. that magical state where you're able to absolutely massacre your todo-lists, steamrolling through item after item with barely any effort, while growing manically happy at getting things done in this way).